One of the biggest contributors to chronic back pain is the way we sit. Until recently, most office chairs lacked an ergonomic design, which helps to encourage good seating posture. In a world where office jobs prevail, it is important to make sure you have proper lumbar support regardless of whether it’s built into your chair. Thankfully, there are a number of back support cushions designed specifically to provide lumbar support. When looking for the best back cushion for office chairs, you’ll find there are a massive number of cushions on the market. Choosing the right one can cause almost as much pain as the pain you’re intending to alleviate. The models below all dominate the “Three Cs” of back pain equipment quality: cost, comfort, and compatibility. If you simply can’t afford to get a new ergonomic office chair to relief the pain, it makes a lot of sense to start with an inexpensive back support cushion. At first glance, some of the cushions on this list might seem out of place. This is due to the fact that the body is a complex thing, and not all types of back pain can be alleviated by lumbar support for chair use. In many cases, the particular back support needed relates to the tailbone or nerves at the base of your spine. Our recommendations reflect these different needs with two types of support cushion. Don’t let the simplistic appearance fool you; this back cushion is one of the best purchases you can make and costs about as much as you would pay to take your family to dinner. The orthopedic design and premium memory foam provide not only lower back support, but also for the mid or upper back when needed. The dual adjusting straps secure this cushion firmly to the back of any chair so that it won’t slide when you move, while the hypoallergenic, 3D mesh cover provides ample airflow to keep your back cool and dry during a long day’s work. The multi-purpose functionality of this cushion is just one of the things that make it the best back support pillow on the market. Those who have purchased this product love the memory foam’s medium density, which provides a greater comfort range. Proper posture requires you to sit slightly forward in your chair, both feet on the floor, and owners of this cushion are quick to note that it does just that when used on the lower back, making it perfect for habitual slouchers. Another cause for rave reviews is the durability, which has allowed it to support its users through long recovery periods and heavy use without losing its form. One of the biggest problems people have is with the sizing of this pillow. Measuring in at two inches in the middle and expanding to approximately four and one half inches at the sides, the cushion may keep those with a larger frame literally on the edge of their seat in shallow-backed chairs. The overall dimensions of the cushion may also prove somewhat problematic for those who are extremely tall or short, and works best for those with an average size and frame. 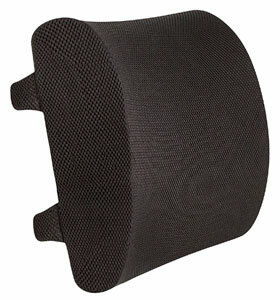 Everlasting Comfort’s second entry here provides some of the best lumbar support for car and office use. This version is designed to fit under you instead of behind you with an ergonomic U-shaped design that can help alleviate numerous back and hip issues. Add to this a heat-responsive, premium quality memory foam interior that compresses just enough to provide comfort without compromising support of key pressure points, and you have a pillow that’s perfect for office, car, wheelchair, and even airplane use! The back cover is machine washable, and the overall size makes it highly portable. As with all Everlasting Comfort products, this one comes with a full lifetime warranty. 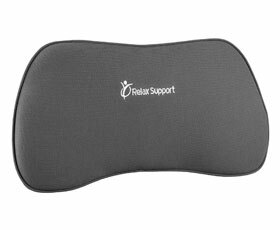 Unlike other back support cushions, this luxury cushion is designed for existing medical conditions, and it excels at this for the vast majority of users. In fact, it’s so comfortable that many people without back issues have purchased one for their own use. Perhaps the most impressive feedback has come from heavier consumers. The pillow is rated for between 100 and 300 pounds, but individuals weighing as much as 375 pounds have reported no deflation from the pillow’s foam during regular use, making this one of the most durable cushions for larger frames on the market. Consumers have few complaints about this pillow, although the non-slip gel backing has proven to be a “sticking point” in both the literal and figurative sense for some users. When used on lighter surfaces, such as car seats or natural wood chairs, some of the gel can rub off, creating a dark stain on the seat. This is difficult to remove, and in some cases impossible. Be sure to place a liner down when using the cushion on hard or light-hued surfaces to avoid this problem. 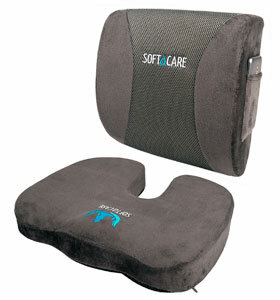 This orthopedic two-pack from SOFTaCARE provides some of the best lumbar support for office chairs. The lumbar support pillow relieves lower back pain with its contoured design and initial four-inch thickness that conforms to your back. Two elastic straps keep the pillow from sliding, and a side pocket provides the perfect storage for your phone or MP3 player. Meanwhile, the seat cushion has an orthopedic U-shaped design to alleviate sciatica and other spine and back issues. A non-slip rubber bottom helps to keep your seat in the seat comfortably. The 3D breathable velour mesh covering on both pillows keeps your back cool and dry and can be removed for easy washing. Finally, both pillows have built-in handles for easy transportation. A majority of users have experienced some degree of pain relief while using this product. The effectiveness varies for everyone, but some owners of this set have reported major relief for sciatic pain and disc issues. Others have noted the high quality of both the set and customer service, as well as the lower cost compared to similar cushion sets. A few users have complained that the lower cushion doesn’t hold up well for extended use. This is likely due to a lower density memory foam being used which is great for comfort, but not longevity. Thankfully, there is a full money-back policy in the event this happens to you. This cushion is ergonomically designed for the best possible lumbar support without hurting your wallet. Its contoured shape helps realign your back, alleviating lumbar-related pain, while the high-density, high resilience foam core ensures this cushion will provide comfort and support for a long time. A washable mesh cover keeps your back cool during extended periods of use. 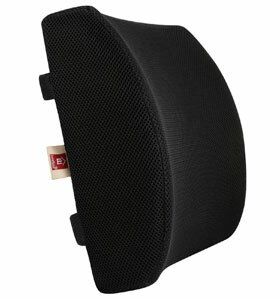 In addition, this product has been updated to include a second adjustable strap for increased defense against sliding. LoveHome has made a major impact on consumers. They love the fit and amount of support these pillows give, as well as the way it stays cool and holds its form during extended use. In addition, a few have reported that customer service is not only excellent at following up on new purchases, but are also quick to replace defective pillows in the event you receive a damaged product.. The single biggest complaint about this cushion is the size. While great for smaller chairs, owners have frequently found problems fitting it to larger chairs, even with the included extensions. These customers have reported that the cushion does fit well on smaller chairs, however, including many computer chairs. This memory foam pillow provides excellent support for your lumbar region and is perfect for extended sitting periods. The memory foam core is covered by a breathable, washable 3D cotton cover, and the adjustable straps fit a wide variety of chairs tightly for a slip-free experience. Meanwhile, the straps are removable, making this an excellent travel cushion. 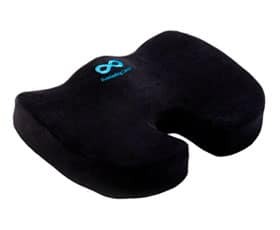 While similar to other lumbar support pillows on this list, the RS1 is designed to be usable on any part of the chair back to provide relief where it’s needed most. Those who have purchased this pillow range from those simply wanting additional lumbar support to individuals with major chronic back pain. The softer memory foam provides support while having far less rigidity in colder temperatures, making it perfect if you have a bulging disc or other spinal issue. Consumers also love the way this pillow is small enough to fit into crevasses left by reclining seats or augment an ergonomic chair’s existing lumbar support. The smaller size of this pillow makes it a poor match for a lot of people. In many cases, users haven’t been able to get adequate support when attached to the lower part of a chair. You may or may not experience this issue, but a 100% money-back guarantee ensures you won’t be wasting your money when ordering this product online. Who benefits most from a back support pillow? The lumbar support provided by these pillows can give support and comfort to those with no existing issues, due to the way they encourage good posture. 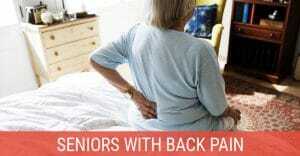 Meanwhile, they can help alleviate chronic pain in those with back problems. We strongly recommend some type of lumbar support seat cushion for individuals who tend to sit for long periods of time, especially in an office setting where you are likely to have trouble maintaining good posture, as they provide the most benefit in these situations. 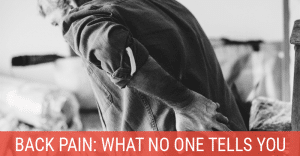 What types of pain relief can a back support cushion provide? 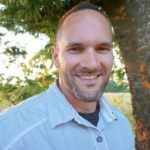 Which types of lumbar support should I avoid? Memory foam is an excellent material for lumbar support pillows, but hardly the only option. Two types that should be avoided are mesh and inflatable. 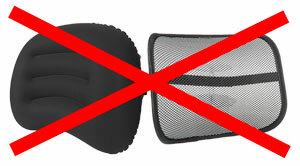 In the case of mesh-style support, we are referring to mesh webbing, not mesh covers. These webs provide some support but are terrible for lumbar support, as they will naturally flex under pressure. This type can actually do more harm than good in an office chair. Likewise, inflatable support pillows are unreliable for extended office use. These cushions will deflate over time and are less flexible than memory foam or similar materials, which can add pressure on your lower spine. Finally, while it might seem a bonus to be able to adjust the amount of support by adding more or less air, this can lead to creating the wrong amount of support based on initial comfort and do more damage in the long run than with a proper cushion. 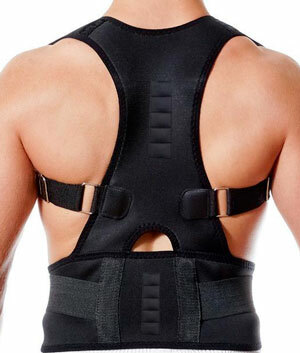 Is lumbar support the same as a back brace? There are several major differences between back braces and lumbar support devices such as pillows. The two might be used in tandem, but are specialized for different parts of your daily life and cannot be used to substitute for each other. The following are a few of the most important differences. Design – Back braces are made of a material that fits around your back to correct posture or provide extra support during pregnancy. Different models can be most easily compared to a bra or thick, padded belt in appearance. Lumbar support pillows are cushions which is placed on a chair to help align your spine and encourage good posture while sitting. Comfort – Lumbar support pillows tend to provide extra comfort in addition to their corrective properties. Meanwhile, back braces are often uncomfortable or restrictive, and used most often when an activity requires a lot of pressure on the back, such as farming. Braces are also often used to help correct improper spinal curvature, which can cause short-term pain in some cases. Functionality – A back brace is used by someone on the go. 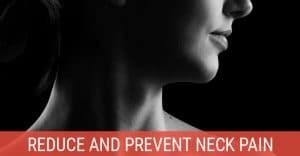 You can wear one under your clothing, often invisibly, and the restriction on spinal movement can help protect against injury. 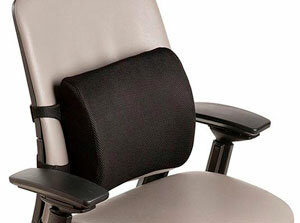 Lumbar support pillows may be moved from one seat to another, but only provide benefits when you are sitting down. They can be used as a preventative measure, pain reliever, or simply for increased comfort.